A locally owned bookstore featuring a large gay and lesbian section. Will order books. 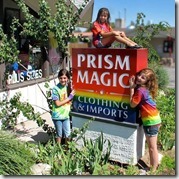 The Funkiest Store in Sparks in the Funkiest building in Sparks! Tie-dye, fun & funky clothing, Playa Wear, Burner Wear, Incense, custom costumes, men’s clothing, plus sizes, faux fur, feathers, sequins, wings, fire spinning tools, new & used clothing. Michael & Son’s offers a wide selection of diamond and gemstone jewelry for your perfect wedding – bridal jewelry, engagement rings, men’s bands, ring guards, women’s bands and special gifts for your bridesmaids, groomsmen and bridal showers.